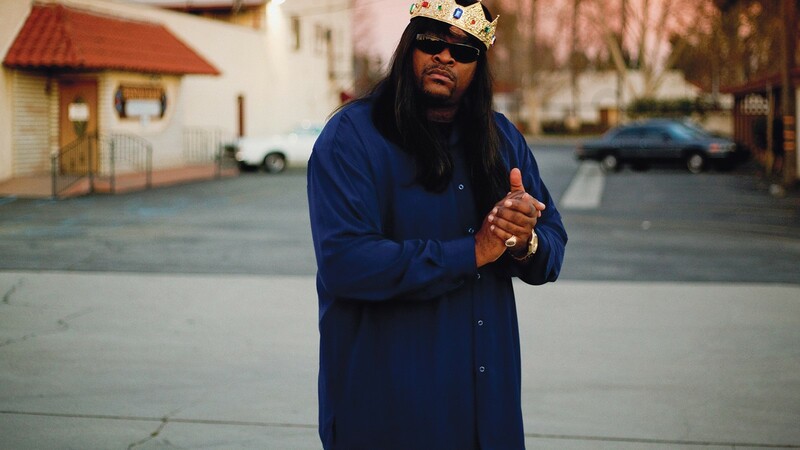 Royal funk protocol dictates that when you speak to Dwayne Omarr, the fabled Crown Prince of Electro Funk, you must gratuitously pepper your conversation with the f-word as often as possible. 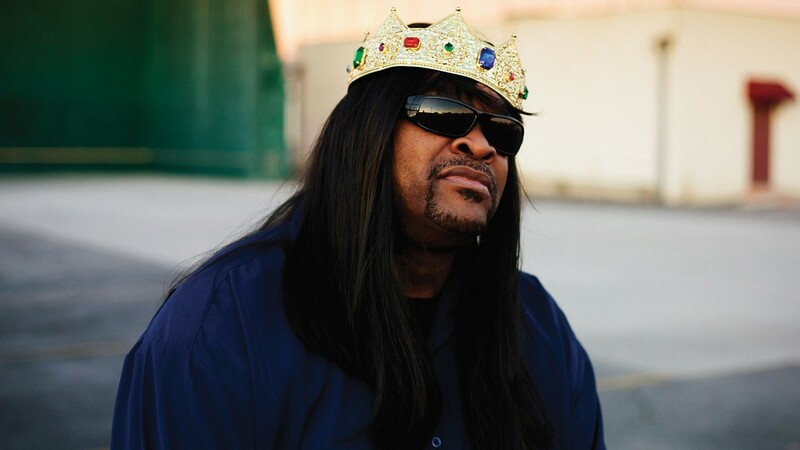 For not a minute goes by when this man isn’t thinking about freaking the funk. To those in the know, Omarr is as much of a musical pioneer as Bootsy Collins, George Clinton, Roger Troutman and James Brown. Unfortunately, most folk have never heard of him. Having once teetered on the verge of 80s chart superstardom, Omarr has spent the majority of the last 25 years in the funk wilderness, when he should have been lording it up in the electro pop Hall of Fame with Mantronix and Egyptian Lover. Even worse, he’s had to stand by and watch as modern R’n’B jokers use his beloved tools – the 808 drum machine, synth-bass and vocoder – to commit unforgivable crimes against music. But now, having signed with Aphex Twin’s Rephlex record label, the Crown Prince is back from exile and keen to reclaim his throne. His natural musical dexterity didn’t go unnoticed, and when he was 14 he appeared on the NBC TV show, Super Kids, which led to a meeting with Prince Charles Alexander of Prince Charles And The City Beat Band fame. Omarr’s parents hired Prince Charles to mentor him, and they travelled to New York to record “Bush Beat” for Slyck. In 1982, Omarr was introduced to Maurice Starr, a music impresario who made his name creating the boy bands New Edition and New Kids On The Block. Success came quickly for the young funkateer, with his Zappaesque feel-good debut single “This Party’s Jam Packed” becoming a club hit. He then hooked up with Boston’s first rap star, Rusty “The Toe Jammer” Pendleton – a teen DJ who scratched with his feet – to produce “Breakdown New York Style” for his group The Sure Shot 3. Life was good, and the royal coffers began to sag with swag. “I would finance my projects with the funds I would be getting from doing production on other projects and sometimes I would do anywhere from four to six songs a day. I bought my mum her first condo when I was 21, and I went to live in the Bahamas for a while. I skipped the “going to college” section of life and went straight to the “let’s get some money” section. My dad was an upholsterer and he loved what he did, but what he would clear in a year, a lot of times I would clear in a month – all by the time I was 21.” His distinctive sound created so much heat that Critique Records offered Omarr his own album deal. In 1985 he released his funk opus – Holy Rock, an album that showcased his love of the Lord, electro-rock and, in hindsight, questionable fashion sense. 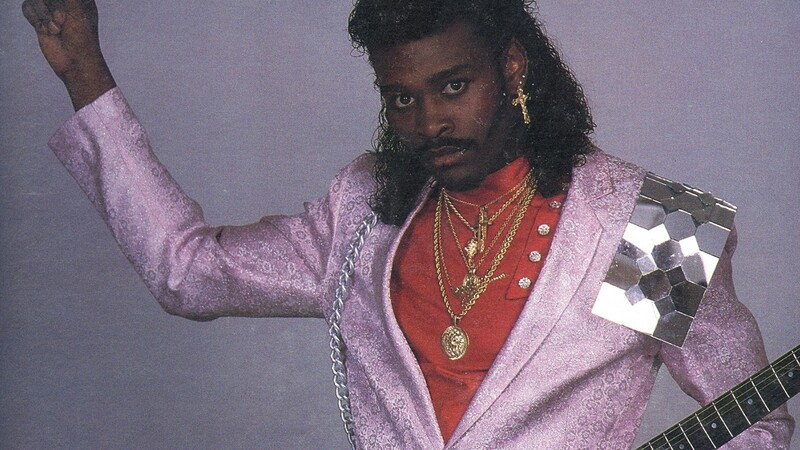 On the cover he wore a pink suit with a mirrored shoulder pad, gold crucifix earring and an afro mullet drenched with so much Soul Glow that people were warned not to smoke within a mile of the photo studio. But even though it contained the early techno anthem “Save the Children”, it transpired that the world at large wasn’t ready for a religious electro-funk odyssey, and the album bombed. Omarr spent the rest of the 80s cooking up hot funk for Luke Skywalker of 2 Live Crew, New Edition’s Ralph Tresvant, Betty Wright, and, most notably R’n’B singer Suave, who had a huge hit with a remake of “My Girl”. Five years later Suave was sentenced to life in prison after torching a crack house and killing a drug addict. Doctors advised him that it was best to amputate his leg but Omarr refused, turning to his Bible for pain relief instead. After months in a wheelchair, he started to learn how to walk again with a cane. After more than 20 years away from the limelight, Omarr is relishing the chance of exposing his music to a new generation of bass cadets with the release of Multi Funk, a collection of his classic tracks alongside some new cuts. Sadly, his taste in fuchsia fashion has remained a thing of the past.